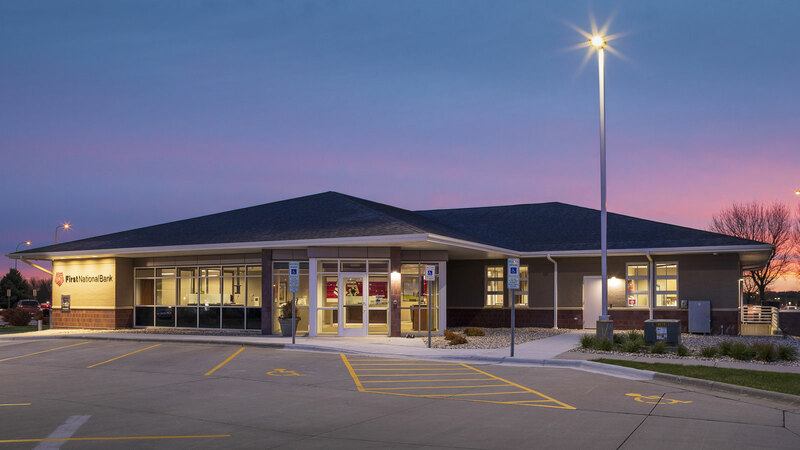 Full interior remodel and small addition to create a full-service retail branch that specializes in agricultural lending and related products. TSP’s latest project in collaboration with FNBSF leaders updated a building formerly owned by another institution. 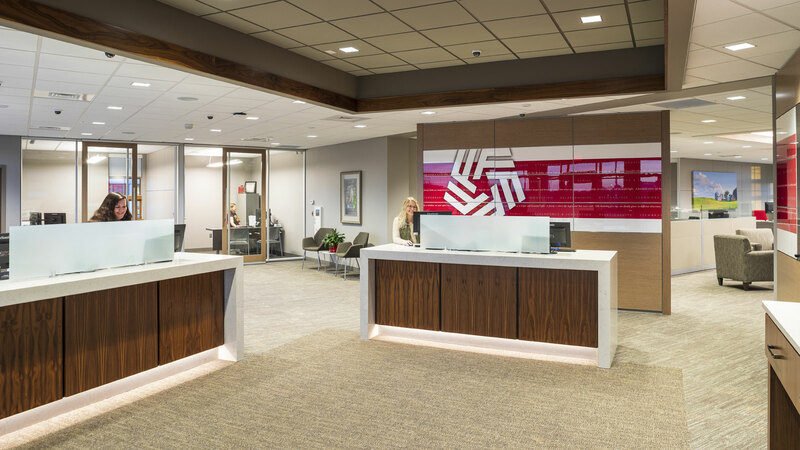 A small addition and full interior remodel transformed the branch, adding signature touches for those on FNBSF’s Agriculture Services specialty team. 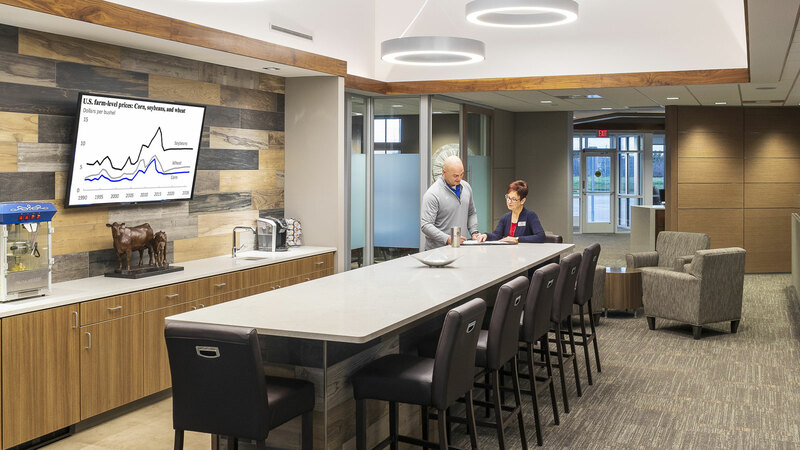 From their new offices, analysts and lenders offer up-to-the-moment information and financial resources for the region’s agricultural producers. The location is ideally situated off an interstate business-loop exit. That makes it easy for rural clients to come straight from work, get in, handle their business, and get back out to the feed lot, field, or livestock barn. In addition to a coffee spot for customers to gather, the branch includes a boot-brush station.